Now, it looks like we’ll have our pick of Hitchcocks. And Alma Revilles, too. 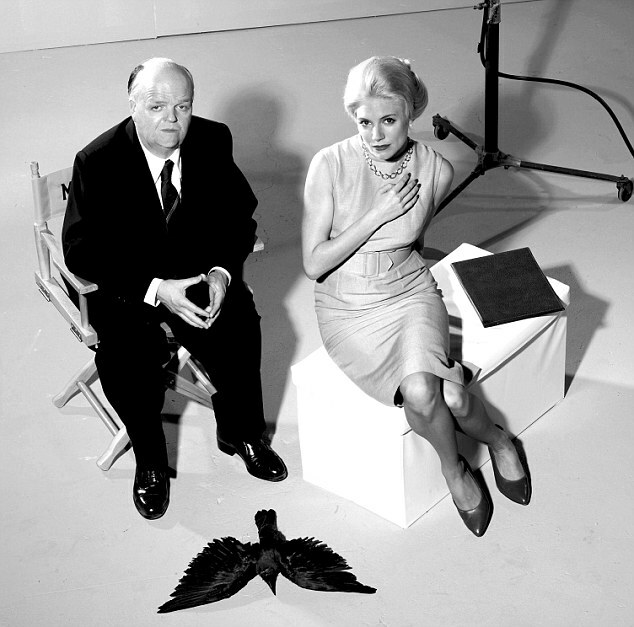 First, the BBC has announced plans this week for the movie “The Girl,” about Hitchcock’s difficult relationship with Tippi Hedren during the making of “The Birds.” The movie will star Sienna Miller as Hedren, with Toby Jones as Hitch and Imelda Staunton as Reville. 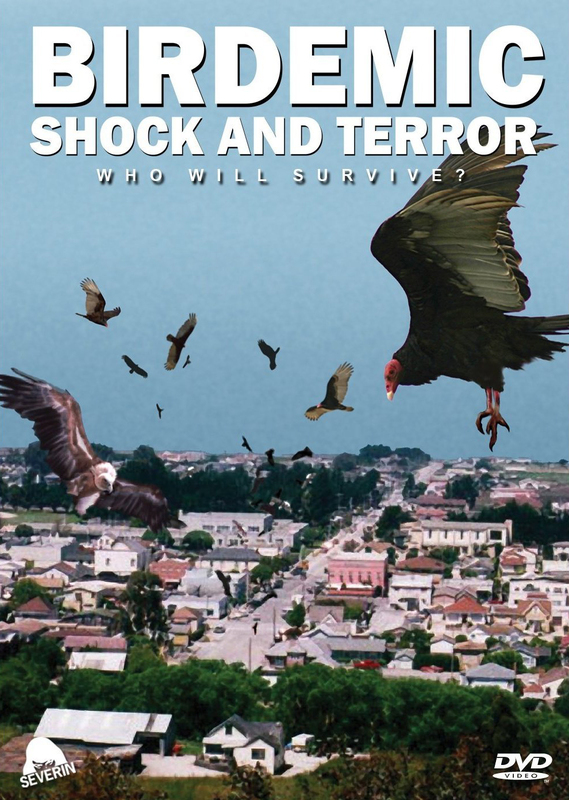 Hitchcock biographer Donald Spoto will serve as a consultant on the film; no word yet on when it will air, but it’s a good bet that it will be sometime in 2012. Today, the Anthony Hopkins Hitchcock project got an update, with Fox Searchlight announcing that the movie would be about the making of “Psycho,” with Helen Mirren as Reville. 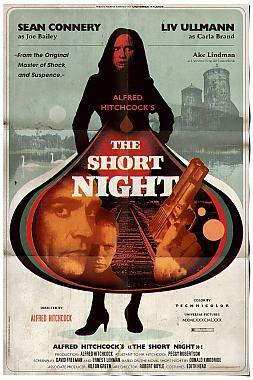 Reports say that the film’s story will focus on Hitchcock’s decision to make a horror film, and his struggle to finance it when he could not get the studio backing he had expected. It looks like this movie may start production in the spring. 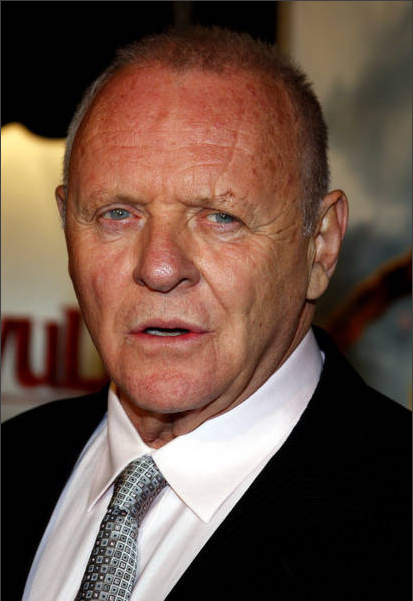 Anthony Hopkins IS Alfred Hitchcock! 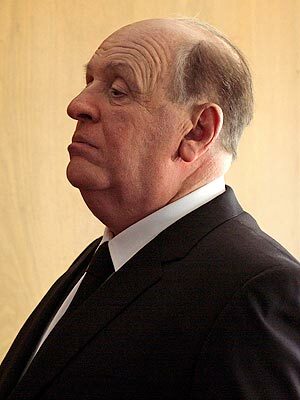 So, film fans – who do you like better as Hitch? And who will be the better Alma: Helen Mirren or Imelda Staunton? 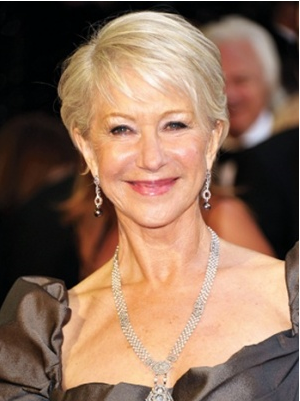 I think it all sounds pretty amazing – but Helen Mirren may be a little too glam for Alma – but we’ll have to wait and see. The most recent film adaptation of “The 39 Steps” was produced in England by the BBC and broadcast on PBS in the United States earlier this year. 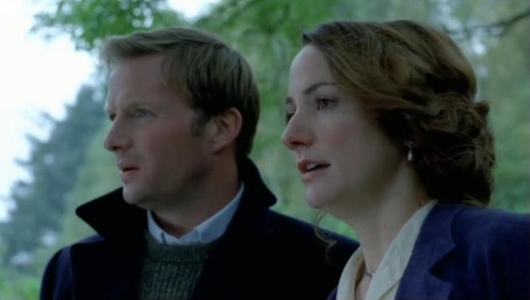 Directed by James Hawe, the film stars Rupert Penry-Jones as Richard Hannay, and while it is still set in the days before World War I, our hero is in many ways a Hannay for the 21st century. Things get off to a fast start as Hannay, bored and alone in London, is accosted by a freelance secret agent called Scudder (Eddie Marsan), who seeks refuge in Hannay’s apartment. Scudder explains that he’s being hunted because of the secrets he’s learned, but before Scudder can spill all he knows, he’s killed by a pair of German agents who have invaded the premises. While Hannay tries to find help, the two agents disappear, leaving Hannay with the corpse on his living room floor and the police beside him. Hannay breaks away and quickly boards a train to Scotland, where, Scudder had said, some of the clues would lead. Their initial antipathy turns to attraction soon enough, as Victoria reveals herself to be more than she seemed at first. They piece together Scudder’s puzzle, working out the coded notes he left behind and finding the 39 steps he hinted at – in this case, steps leading through a castle to a loch where a German U-boat waits. They foil the German plot, but at a great cost. This Hannay is a somber soul; he’s restless and not sure what it is he’s looking for, and when Victoria shows up, he lets her lead him into danger. She is not embarrassed when they are forced to share a hotel room and undress in front of each other, and later, when she asks to stay with him for the night, it is he who says no in the hope that they can avoid falling in love. This version of “The 39 Steps” also lays off the colorful Scottish characters of the original novel, putting the emphasis instead on Hannay and Victoria, with their German pursuers on their heels almost from the moment they meet. Hannay is knowledgeable, but not enough to figure out the final turns of the plot. 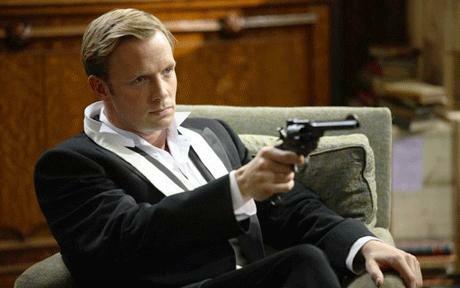 He reacts angrily when he realizes that he’s been kept in the dark by Victoria. To some degree he reminded me of the Daniel Craig James Bond – he’s physically capable, but others underestimate his intelligence, which leaves him with a sour outlook on the world that needs him. 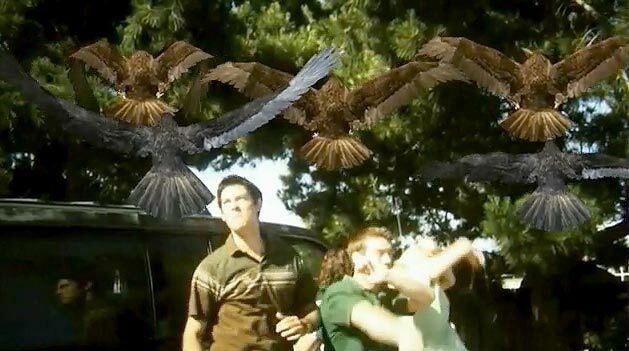 Still, it’s a fast-paced, exciting version of the familiar story, and the modernization of the characters, if not the plot, probably serve to make the tale more relatable to today’s viewers. 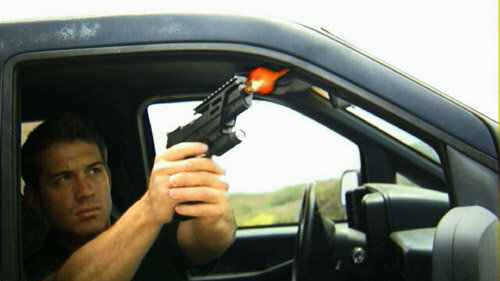 Here’s a look at the trailer… keep your eyes open, as it will probably show up on PBS again sometime.